2011 was a fantastic year for Los Angeles based hip-hop/skateboard collective Odd Future Wolf Gang Kill Them All with releases from Tyler the Creator, Mellowhype, Frank Ocean, The Internet and Mike G, and yet after all that it looks like the group still won’t be slowing down in 2012. Following last year’s Goblin, Tyler the Creator is set to release Wolf sometime in the spring, which was described by him as a deviation from his previous releases. Duo Hodgy beats and Leftbrain are also releasing a followup Mellowhype album titled Numbers sometime in the summer. The collective has also announced OF Tape Vol. 2, which features new music from Tyler, the Creator, Hodgy Beats, Frank Ocean, Leftbrain, Domo Genesis, Mike G, Syd the Kyd and The Internet. The tape is a followup to the crew’s 2008 debut outing The Odd Future Mixtape, which you can download for free over here. On top of it all, Tyler and gang will also be premiering their own “Jackass”-like sketch show, Loiter Squad, March 25h on Adult Swim. Head over here to check out a limited edition t-shirt designed by Tyler the Creator that will be released through Qubic Store. The shirt was made in response to the collective being kicked out of the lineup for Big Day Out 2012 Auckland, and they are set to have their own show at the Auckland Powerstation January 19th instead. All future releases will be released through the crew’s own Odd Future Records. 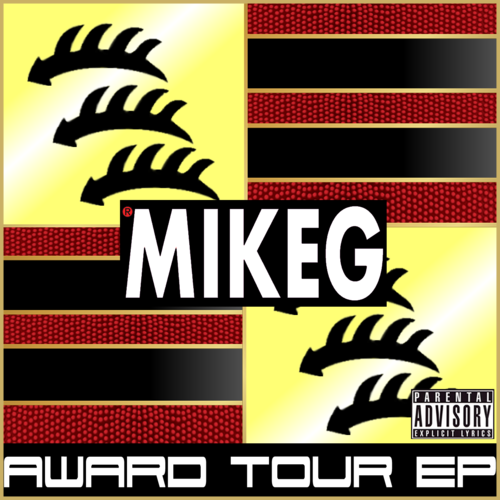 Odd Future‘s haziest rapper and self-proclaimed king Mike G has released his long-awaited Award Tour EP, a seven track project filled with in-house production anda few collaborations with Vince Staples. Mike G’s still gearing up for the release of his proper sophomore album Gold (set for release on Odd Future Records? ), but at least we can bump the Award Tour EP in the meantime. Download link below.